Why did you choose our bank? Convince a Prospect to Become a Client. What do you know about our bank? Have you worked in a bank before? EBOOK – Ace your interview with ease! Why do you want to become a bank teller? When you apply for a teller position, you should try to convince the employer that you really want to have the job, that you didn’t apply just because you couldn’t find a better position. What is more, try to think about the employer when answering this question. Wanting to become a teller just because you like the working environment in a bank, and the reputation of their financial institution, or because you will be satisfied with the job, is rather self-centered. Try to find a better reason for your application. 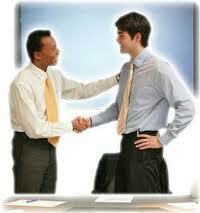 You can tell them that you believe you will bring value to their team with your excellent customer service skills. Let’s have a look at some good answers. I have strong communication skills, and I enjoy talking to people. I believe I can become a great teller, and that is the reason why I apply for this job. I am interested in banking products, and I like to help people. Position of a teller offers a unique chance to combine the two in one job. It is definitely my first choice for an employment, since I am young and can not apply for any senior role in banking at the moment. I am a client of your bank, and I really like the customer service you offer. I will be proud to be a member of your team, and I believe that I have the right predispositions to become a great teller. Special tip: Choose a good attire for your interview. You should follow the dress code of the bank. Choose the same colors the tellers wear, unless they are blur or very shiny.